I don’t know about you, but to me tofu doesn’t taste of much. That’s why I came up with this recipe, that totally changes the approach we have towards this white piece of protein! 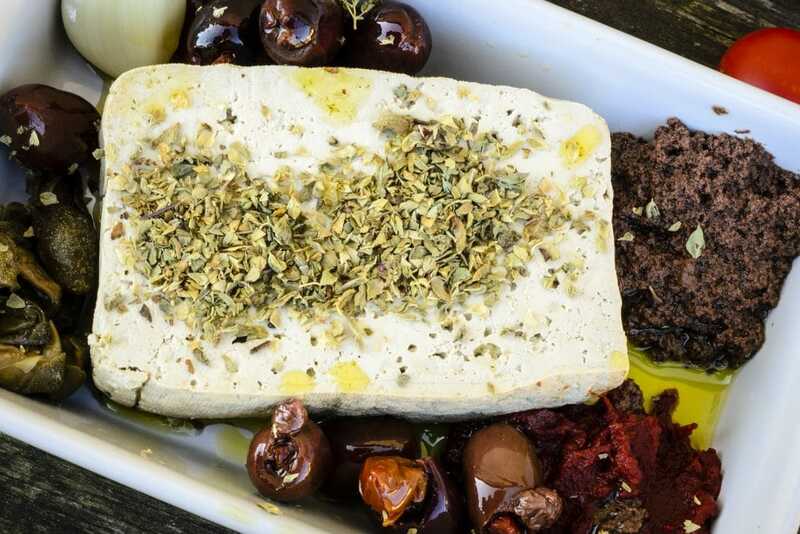 I wanted to give the tofu a taste of Italy! So I coated it in double concentrated tomato, and olive tapenade. I also added garlic, capers oregano olives and sun dried tomatoes. Well it worked! You just need to add some rice beside it and some veggies and you will have your complete meal. A tasty one! 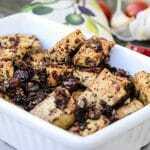 Give your plain and boring tofu a twist for the better adding olive and tomatoes flavors: here is my recipe for Mediterranean-Style Pan Fried Tofu! Drain your tofu from the water and cut it in little dice. Mix the double concentrated, the tapenade and the squeezed garlic together with some olive oil in a bowl. Add the tofu and coat it with the paste you just formed. 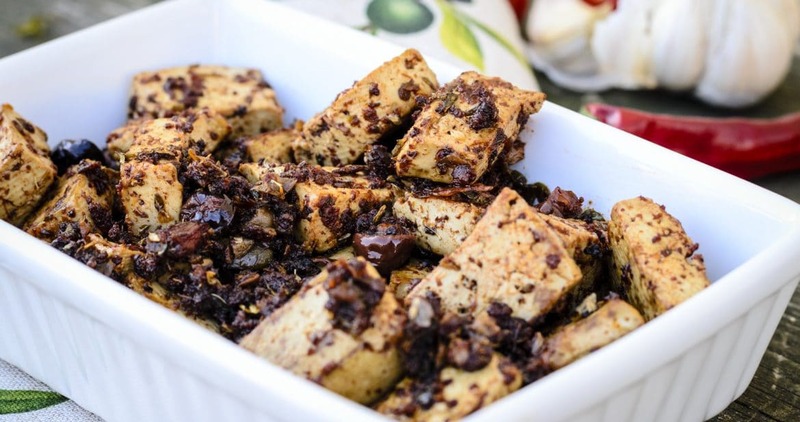 Pour some olive oil in a pan and pan fry the tofu until it looks like it’s crunchy on the outside. Stir frequently. 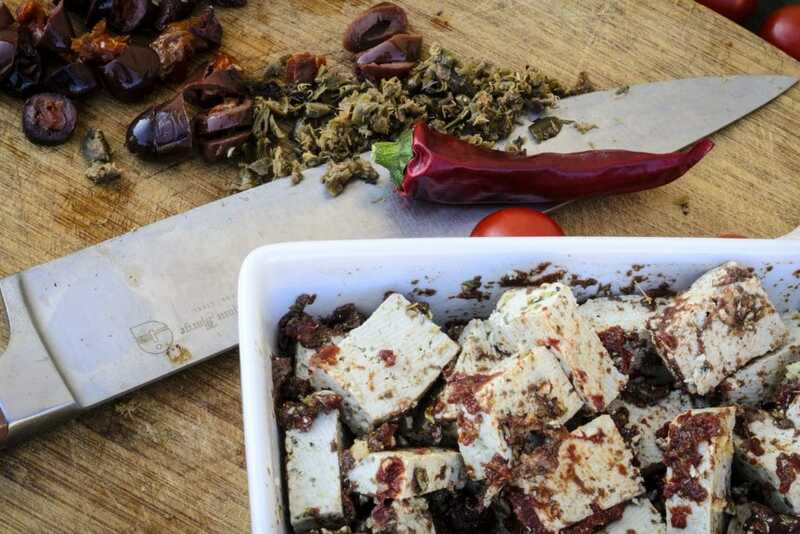 Add the stoned olives, the sun dried tomatoes cut in strips, the capers washed from the salt and minced. Keep cooking for another minute. Add the oregano and adjust the salt.